ELIZABETH, NJ -- An Elizabeth police sergeant who said he was punished after blowing the whistle on police corruption will get to keep his $600,000 jury award, an appellate court ruled today. The court upheld a 2006 verdict in favor of Sgt. John Guslavage, a decorated narcotics supervisor who said his bosses cast him into a demeaning desk job because he violated their code of silence, reporting a suspected drug-using cop to the Union County Prosecutor’s Office in 1999. Guslavage received a $600,000 award in a whistle blower lawsuit he filed against the Elizabeth Police Department and the city with harassment. Guslavage, now 67 years old and retired, referred requests to comment to his lawyer. Attorney David Ben-Asher said simply that his client felt vindicated for "the years of retaliation he experienced," and "we prevailed on all of the issues which the city raised." Attorney Edward Kologi, who represented the city of Elizabeth in the civil case with co-counsel Robert Varady, called the appellate ruling "totally erroneous." Kologi said Guslavage’s $600,000 award — plus more than $100,000 in interest — is an unfair burden on taxpayers, and the defense’s only recourse is to seek to take their case to the state Supreme Court. The defense attorneys had argued in their appeal that the sergeant didn’t qualify as a whistle-blower under state statute, since he suffered no loss or rank or pay, keeping his $100,000 annual pay check. The Conscientious Employee Protection Act, meant to protect whistle-blowers, does not apply "any time someone’s ego is bruised, because they might not get the perfect assignment that they want," Kologi said. He and Varady maintained Guslavage was disciplined for going outside the chain of command, but that was his only punishment. They said his allegations against the officer, who was never charged, were shown to be without merit. Guslavage, a 36-year veteran of the Elizabeth police department who once supervised the prestigious narcotics division, said he was buried in a basement desk job overseeing the evidence and property room just months after ratting out the suspected drug-using cop. The sergeant said he was belittled and driven into depression, suffering a nervous breakdown that led to 18 months of medical leave. Jurors in the civil case agreed he was targeted, harassed and punished by his superiors. The 1999 incident was the second of two claims Guslavage made against suspected dirty narcotics officers — in 1994, the sergeant went to the U.S. Attorney’s Office to report on cops he felt had cozied up to a reputed drug dealer. The jury ruled top officials at the police department acted appropriately in that earlier instance, when they chose to end their investigation into the matter. Those suspected officers were also never charged. "Unflappable" is a word colleagues invariably use to describe Michael Colodner, whose 35-year career as a lawyer for the New York State court system is coming to an end. The recently retired chief counsel's even temperament stood him in particularly good stead during the 1970s as tensions mounted with the creation of a statewide court system, a transition that prompted angry demonstrations by court employees and generated what Mr. Colodner called an "enormous amount" of litigation. "He didn't get too excited about victories and he took his occasional defeats in stride and he never lost sight of the goal of trying to improve the court system," said Richard Bartlett, the state's first chief administrative judge. "I have great admiration for him." "We went toe-to-toe with him many times, but it was always professional, never personal," said Dennis Quirk, president of the New York State Court Officers Association. "He is probably the last of the people who know the history of the OCA [Office of Court Administration]. He was always a gentleman, even when you cursed him out. I don't think I ever saw him lose his temper. He will be sorely missed." Over time, new rules and regulations have clarified the role of the state court administration, and much of the initial rancor has died down. Chief Judge Jonathan Lippman, who was chief administrative judge from 1996 to 2007, said that Mr. Colodner had been instrumental in the evolution of the system from a "mom-and-pop operation" to a "professional, cutting-edge" judiciary. As chief counsel of the Unified Court System, Mr. Colodner headed a legal department of 15 lawyers who represent the court system in litigation, write judicial ethics opinions, advise administrative judges on the legality of court management issues such as the temporary transfer of judges and write proposed legislation and administrative rules. "Basically, it's a working law office," said Mr. Colodner. The current administrative judge, Ann Pfau, credits Mr. Colodner with "teaching me how to be a lawyer" starting in 1984, when he hired her as a counsel. She said that his vast institutional and legal knowledge has made him an invaluable sounding board. "I probably walked down that hallway four times a day to consult with him about this and that," Judge Pfau said. "He was also very much kind of a counselor for the judges. I know a lot of judges would call him with the same purpose. That is to ask him, 'What do you think?' That is something that is very valuable." Mr. Colodner, 67, who earned $136,500 as chief counsel, resigned effective Dec. 13. But he will remain with the court system part-time for now, working on special projects and assisting his replacement, John W. McConnell. Mr. McConnell, 50, had been chief clerk at the Appellate Division, First Department. Mr. Colodner's exact assignments and the money he will receive in his part-time role remain "in discussion," he said. Longer-term, Mr. Colodner said he is not sure what he will do next. "I can never think of myself as fully retired," Mr. Colodner said in a recent interview. "It is just not clear to me what that next thing is going to be. It may be something outside the legal field. It may be something within the legal field. It is a good time right now for me to reflect." Mr. Colodner was hired in 1974 as an assistant counsel as the state began to gear up for its takeover of all courts above the town and village court level. The Columbia Law School graduate became chief counsel in 1983. An amendment to the state Constitution approved in 1977 took responsibility for the administration of the state courts away from the four appellate divisions and vested it in the state's chief judge who, in turn, designated a chief administrative judge to handle the day-to-day management of a new state Unified Court System with some 1,300 judges and 16,000 non-judicial employees. Mr. Colodner recalled that he was brought into the court system because it was anticipated that a litigation specialist would be needed to coordinate defense of the suits that would arise with the new system. Mr. Colodner had spent the previous seven years as an attorney for then-state Attorney General Louis J. Lefkowitz, for whom he argued two appeals before the U.S. Supreme Court. Consolidation of state courts under the chief judge "created a good deal of tension in the transition," Mr. Colodner said. "It was rough. Rough," Mr. Colodner recalled. "The transition to the state in 1977 generated enormous amounts of litigation because the employees were basically paid locally and had their own rules governing them based on what their local rules were. Suddenly, we had to assimilate them [in a state system]. We had to reclassify all their job positions." Judges, too, sometimes exhibited a "great deal" of resistance to assignments outside of their home counties, Mr. Colodner said. Mr. Bartlett remembered that court officers demonstrated outside the apartment building that housed then-chief judge Charles Breitel, as well as Mr. Bartlett's homes in Glens Falls and Lake George. The officers outside Mr. Breitel's home chanted, "Drop dead, Breitel! Drop dead, Breitel!" Mr. Bartlett said. Mr. Quirk said he helped organize a 1978 demonstration of nearly 1,000 court officers who were bused to Glens Falls and Lake George to protest benefits packages and job classifications outside Mr. Bartlett's homes. Mr. Quirk remembered that the chant of those protesters was, "Bartlett is a pear!" "I was picketed, but I was never hung in effigy. 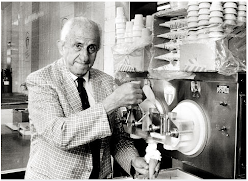 It was everything short of that," said Mr. Bartlett, who later headed Albany Law School and is now a partner at the Glens Falls firm Bartlett, Pontiff, Stewart & Rhodes. "It was a very exciting five-plus years. I found deaning at Albany Law School to be a piece of cake after that." Mr. Quirk said he got to know Mr. Colodner at the same time, when Mr. Colodner was chief assistant to the court system's first counsel, Michael Juviler, and found Mr. Colodner to be "hard-working" and "dedicated." Mr. Colodner said a series of court rulings and administrative actions in his tenure have helped mold what he called the still-evolving shape of the court system. 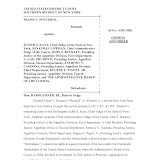 They include Morgenthau v. Cooke, 56 NY2d 24 (1982), in which the Court of Appeals rejected former chief judge Lawrence H. Cooke's system of temporarily assigning judges to Supreme Court benches in New York City and Maresca v. Cuomo, 64 NY2d 242 (1984), in which the Court upheld the constitutionality of mandatory retirement rules for state judges. Over time, collective bargaining agreements between the state and unions representing what had been locally paid non-judicial court employees helped clarify and standardize employees' relationships with the Unified Court System, Mr. Colodner said. "Things became much clearer," Mr. Colodner said. "It was not only a question of clarity, but a question of acceptance. The court system, ultimately, began to see that it was working and you got used to how the administrative lines were drawn and it turned out it wasn't so terrible." Today's court system is "a far cry from the edge-of-the-seat-of-the-pants operation that we had at the beginning," Judge Lippman, who joined the system as a counsel in 1989, said in an interview. "Accountability, standards, criteria, it is all part of what the pioneers built, people like Mike Colodner." Mr. Colodner said he regrets that legislators have spurned calls for further court reform, such as the merger of trial courts. "It is fragmented," he said. "We would prefer to have something a bit more universal. But it works." Judge Lippman said that Mr. Colodner's knowledge of the way the system has evolved since the 1970s will be missed. "You can be a great lawyer and not understand your client," Judge Lippman said. "But in this case, Michael understands his clients better than anyone else. His knowledge is encyclopedic about the courts, all of the legal/policy issues that have come up over the years.…Everyone knows when you get into trouble and don't know what to do, you call Michael up." Joel Stashenko can be reached at jstashenko@alm.com. 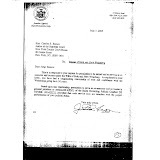 The Daily News reported the forewoman of the jury that convicted ex-Republican Senate Majority Leader Bruno saying she hoped “there should be someone watching, requiring disclosure or requiring approval for what job you can take on.” Bruno quit CMA Consulting the day after the verdict. CMA got state contracts totaling $27.1 million after Bruno joined the firm. 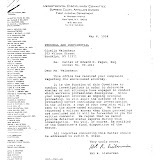 A few months after being elected to the Senate, John Flanagan announced that he was Of Counsel to the law firm of Forchelli, Curto, Crowe, Deegan, Schwartz, Mineo & Cohn, LLP whose offices are not the 2d Senatorial District. The firm was founded by Armand D’Amato after Alfonse was elected to the U.S. Senate. 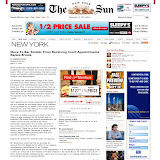 Its website boasts clients such as Cablevision that owns Newsday that covers Flanagan -- and Burger King, Northrop Grumman, Home Depot, Citibank, Walgreen, Stop N’ Shop, Credit Lyonnais, Amerada Hess, Merrill Lynch (now BOFA), Washington Mutual Bank (now Wells Fargo), Sunrise Assisted Living, Dairy Barn Stores, Philips International, Eckerd Drugs, etc. These folks lobby the Legislature and appear before Albany regulatory agencies. I have requested Sen. Flanagan to disclose how much he is paid by this law firm, for exactly what services to what named clients? Running for re-election next year, he must lead by example. Voters must see the written agreement and verifiable proof of how much he is paid by it for exactly what legal services to what named clients? 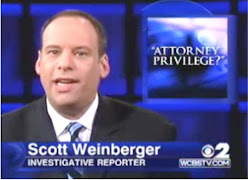 (A client’s name is never attorney-client privileged, nor the retainer, nor the fee.) These are fair questions. From Bruno’s own lips, as revealed at his trial, we know that Assembly Speaker Sheldon Silver is getting $30,000 to $60,000 per month from Weitz & Luxenburg, LLP which is the negligence firm advertised on TV. Silver has blocked malpractice reform for decades. What is Sen. Flanagan’s deal? Actions speak louder than press releases. Where’s the Senator’s “follow through” against personal use of campaign funds as he postured in 2006? 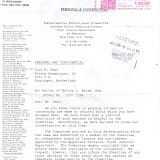 The Smithtown News witnessed the fact that in 2006, after ex -Smithtown Highway Superintendent Edmund (now felon) Lynch was caught looting his campaign account, Sen. Flanagan introduced Senate Bill S8258. He wrote about officials having “virtual carte blanche for expenditures that are, at best, tangentially related to their campaigns and official duties.” “Luxury vehicles, sky boxes, extravagant meals, international travel and home improvements” were examples. He observed “a growing and justifiable public perception that campaign funds are being used to enhance the post election life styles of candidates for public office. Such largesse turns the ideal of representatives serving the public on its head. Campaign donors have a reasonable expectation that their contributions will be used for the candidate’s election efforts and the execution of his or her public duties. They do not expect their contributions to subsidize personal spending.” Still waiting! If we can’t have ‘em honest, can we at least be governed well? The state is $3.2 billion short. Yet not one dollar can be cut from Medicaid or Education. SEIU Local 1199 and the Teachers Union won’t allow my (actually their) Senator to do so. But the perks and moola just roll in for our ever so privileged political class that thinks it was born to the purple. Your politics are broken. Your government is broken. Albany is called a cesspool, a sewer. Some like the water just fine. ALBANY, NY - A judge has accepted censure for trying to organize other judges into a boycott of cases involving the law firms of state legislators who have denied New York's judiciary a pay raise since 1999, the Commission on Judicial Conduct said yesterday. Cattaraugus County Judge Larry M. Himelein, one of the most vocal critics from the bench of the long pay drought, entered into the stipulated agreement with the commission. The panel voted 9-0 to approve the settlement. Judge Himelein disqualified himself from 11 cases involving legislators or firms employing lawmakers in a 10-month period beginning in September 2007, according to the commission. 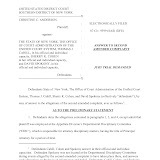 Toward the end of that period, the Commission on Judicial Conduct warned judges that recusal in such cases based solely on judges' frustration with the continuing pay impasse in the Legislature is a violation of judicial canons and subjected the judges to potential sanctions (NYLJ, May 13, 2008). Nevertheless, in e-mails to his colleagues, often sent in "blasts" to all 1,300 judges in the Unified Court System, Judge Himelein acknowledged that he was recusing himself as a "weapon" and a tactic in an attempt to compel the Legislature to grant the judiciary a pay increase. "His stated aim…was inconsistent with a judge's obligation to refrain from conduct that interfered with the proper performance of judicial duties, to act at all times in a manner that promotes public confidence in the integrity and impartiality of the judiciary and to accord to every person who has a legal interest in a proceeding, or that person's lawyer, the right to be heard according to law," the commission's ruling concluded. 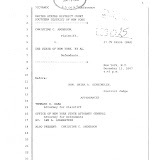 Judge Himelein recused himself in matters involving Hiscock & Barclay, whose staff attorneys include Senator Neil Breslin, D-Albany, and Assemblyman Will Barclay, R-Pulaski, and also Harris Beach. Senator Michael Nozzolio, R-Seneca Falls, is a member of Harris Beach. 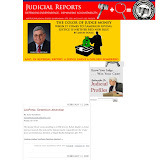 In addition, Judge Himelein recused himself from several probate cases in his capacity as Cattaraugus County Surrogate's Court judge, in which parties were represented by Weitz & Luxenberg, where Assembly Speaker Sheldon Silver, D-Manhattan, is a member. The commission's ruling said Judge Himelein aggravated his conduct by writing a series of electronic mails to other state judges in which he belittled Mr. Silver and other legislators. In a 2007 "blast" e-mail, Judge Himelein referred to Mr. Silver as a "slug," a term the commission said he later defined as a "distasteful creature that is large, slimy and worm-like." Other e-mails from Judge Himelein referred to legislators in general as "clowns" and mocked judges who declined to recuse themselves and join in a boycott involving firms employing lawmakers. 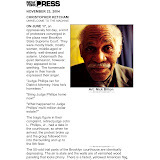 "The judges in NYC, who by and large are appointed by the politicians, don't have the guts to do it, and that's where most of the lawyer-legislator is from," Judge Himelein was quoted in a story that ran in April 2008 on the Albany cable station Capital News 9. "What we're saying is you'll have to get a different lawyer. That doesn't do anything to the merits of the person's case." In addition to the inappropriate nature of the comments about his fellow judges and the recusal effort he was trying to organize, the commission held in its ruling that Judge Himelein is barred by judicial canons from making public comments about pending cases. "Chiding, browbeating and insulting judges who did not recuse (calling them 'wusses,' 'non-self-respecting,' 'gutless,' and 'wimp[s]'), denigrating downstate judges in particular ('lackies' and 'toadies for the politicians') and telling them to 'grow some stones,' respondent repeatedly urged his judicial colleagues to recuse en masse ('How about everyone recuses by 5:00 today???')" the commission's ruling recounted. 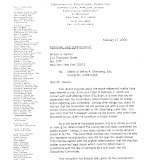 Judge Himelein argued in letters he sent to Hiscock & Barclay and other firms warning about his intention to recuse himself that he considered himself conflicted by the pay raise dispute and the $100 contribution he had made toward the plaintiffs' legal costs in Maron v. Silver, one of three pending suits seeking court intervention in forcing the Legislature and governor to grant state judges a pay raise. 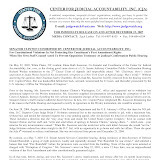 The commission found that Judge Himelein had also informed his judicial colleagues via e-mail of his support of a second judicial pay suit, Larabee v. Spitzer (since renamed Larabee v. Governor), about a week after it was filed in September 2007 and his intention to continue to recuse himself as a way of catching lawmakers' attention. "I continue to view this as an automatic recusal," Judge Himelein wrote. "Not until these firms start letting their legislators go will we have any standing at all with these clowns." One of the plaintiffs in Larabee is Judge Michael L. Nenno (See Profile), Judge Himelein's colleague on the Cattaraugus County Court, Family Court and Surrogate Court bench. Former Court of Appeals judge Richard D. Simons had held a hearing and gathered facts as a referee in the Himelein case, but the commission and Judge Himelein reached their stipulation before Mr. Simons issued a report. In warning judges about improper recusals last year, the commission cited Advisory Opinions 89-93, 07-25 and Advisory Joint Opinions 07-84 and 88-17(b). In general, the opinions say recusal is not required when legislators themselves or firms employing state legislators appear before judges, unless judges have valid beliefs that they cannot decide matters impartially. Judge Himelein, 60, the district attorney in rural Cattaraugus County from 1982 to 1992, has heard cases in the County, Family and Supreme Courts since 1993. State judges have become increasingly resentful of legislators, accusing them of blocking their raises to gain leverage for a legislative pay raise. "The judicial pay raise dispute has fomented for more than 10 years," said Judge Himelein's attorney, Terrence M. Connors of Connors & Vilardo in Buffalo. "Judge Himelein's comments were borne out of his frustration over the legislative inaction." "This is a judge with an impeccable judicial record. He has acknowledged that his advocacy on behalf of judges was in error and he is prepared to move forward and resume his judicial career." Mr. Connors said that Judge Himelein would have no comment on the commission's ruling. Robert Tembeckjian, administrator of the commission, noted in a statement that the agency had supported a raise for judges as "well-deserved and long overdue." "Honest advocacy for judicial raises is entirely appropriate," he said. "It is unacceptable, however, to bring the controversy into an individual courtroom and penalize individual legislators and their clients as a 'tactic' or 'weapon' in the pay raise dispute." The ruling released yesterday did not discuss the extent, if any, that other judges recused themselves based on dissatisfaction with the lack of a judicial pay raise. "The matter involving Judge Himelein is the only one of its kind before the commission," Mr. Tembeckjian said in an interview. "I would hope that the public would be reassured that the commission took appropriate action in this case, and that this problem appears to be isolated." 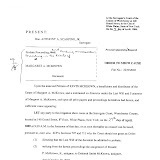 Brooklyn Supreme Court Justice Arthur M. Schack wrote in a scathing 10-page ruling earlier this year that he was recusing himself from a case where the plaintiff was represented by Jaspan Schlesinger Hoffman "to avoid any potential appearance of impropriety" (NYLJ, March 10). 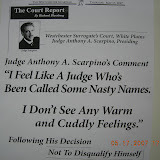 The judge noted that the firm employs Senator Craig M. Johnson, D-Port Washington, and Assemblyman Marc S. Alessi, D-Wading River, and that thanks to the Legislature, the judiciary has become the "Rodney Dangerfields" of government due to the long lag in its last pay raise. Justice Schack also wrote that it would be improper to hear the case because he has a personal stake in the pay raise situation as a plaintiff in the Maron v. Silver litigation. Unlike Justice Schack, Judge Himelein is not a plaintiff in any of the pay raise suits. 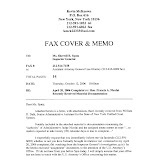 A spokeswoman for Mr. Silver said the speaker would have no comment Oral arguments in Maron v. Silver, Larabee v. Governor and the third pending judicial pay raise suit, Chief Judge v. Governor, will be heard by the Court of Appeals on Jan. 12, 2010 (NYLJ, Sept. 25). Joel Stashenko can be reached at jstashenko@alm.com. ALBANY, NY - A western New York judge should be censured for trying to organize other judges to recuse themselves from cases involving the law firms of state legislators, who have denied the judiciary a pay raise since 1999, the Commission on Judicial Conduct said today. Cattaraugus County Judge Larry M. Himelein, one of the most vocal critics from the bench of the long pay drought for judges entered into the stipulated agreement with the commission on the censure. The panel voted 9-0 to accept the settlement. Judge Himelein disqualified himself from 11 cases involving legislators or firms employing state lawmakers in a 10-month period beginning in September 2007, according to the commission. In e-mails to his colleagues, the judge acknowledged that he did so as a "weapon" in an attempt to compel the Legislature to grant the judiciary a pay increase. "His stated aim ... was inconsistent with a judge's obligation to refrain from conduct that interfered with the proper performance of judicial duties, to act at all times in a manner that promotes public confidence in the integrity and impartiality of the judiciary and to accord to every person who has a legal interest in a proceeding, or that person's lawyer, the right to be heard according to law," the commission's ruling concluded. 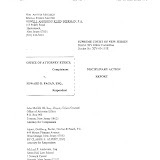 Judge Himelein recused himself in matters involving Hiscock & Barclay, whose staff attorneys include Senator Neil Breslin, D-Albany, and Assemblyman Will Barclay, R-Pulaski, and also Harris Beach. 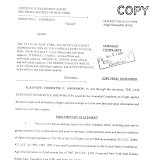 The commission's ruling said Judge Himelein aggravated his conduct by writing a series of electronic mails to other state judges in which he belittled Assembly Speaker Sheldon Speaker, D-Manhattan, as a "slug" and state legislators in general as "clowns" and mocked other judges who declined to recuse themselves and join in a boycott of cases involving firms employing lawmakers. 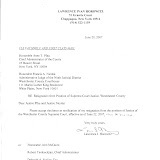 "Chiding, browbeating and insulting judges who did not recuse (calling them 'wusses,' 'non-self-respecting,' 'gutless,' and 'wimp[s]'), denigrating downstate judges in particular ('lackies' and 'toadies for the politicians') and telling them to 'grow some stones,' respondent repeatedly urged his judicial colleagues to recuse en masse ('How about everyone recuses by 5:00 today???')" the commission's ruling recounted. 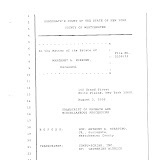 Judge Himelein argued in letters he sent to Hiscock & Barclay and other firms that he would recuse himself in matters involving their cases because he considered himself conflicted by the pay raise dispute and the contribution he had made to the legal defense of one of the three cases in which the judiciary is suing the Legislature and the governor to force a court-ordered pay increase. 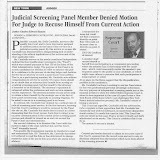 Court administrators warned judges that to recuse themselves from cases involving legislator-lawyers based solely on judges' indignation over the lack of a pay raise was in violation of judicial canons and subjected judges to potential sanctions (NYLJ, May 13, 2008). Judge Himelein, a former district attorney, also hears cases on Family Court, Surrogate's Court and state Supreme Court benches in rural Cattaraugus County. Joel Stashenko can be reached at jstashenko@alm.com. 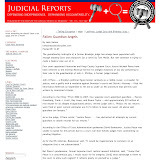 CLICK HERE TO SEE RELATED STORY, "Certainty, Judges Can't Get Due Process from Tembeckjain Thugs." ALBANY, NY -- The state Commission on Judicial Conduct has determined that Larry Himelein, a Cattaraugus County Judge, should be censured for improperly disqualifying himself from 11 cases involving state legislators. The panel determined that Himelein took those actions as a tactic in his campaign to turn the heat up on the issue of judicial pay raises. As noted in the press release accompanying the commission's determination, "Judge Himelein's actions were aggravated by the fact that he sent out numerous mass e-mail messages to other judges strongly encouraging them to join him in mass disqualification as a tactic in the pay-raise dispute and denigrating judges who refused to do so. He also made inappropriate public comments about legislators and, in particular, a party to the pay-raise litigation, Assembly Speaker Sheldon Silver, whom he called a 'slug.'" Judges haven't received a raise in more than a decade -- a failure that led the state's former Chief Judge, Judith Kaye, to sue state leaders in 2008. 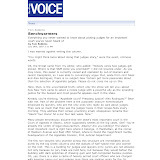 Himelein made his feelings abundantly clear in a series of blast e-mails he sent out to fellow judges, including one 2007 missive in which he referred to his assumption that the state judiciary would "get boned by the legislature again." The judge had a special dispute with Speaker Silver's firm. "How can any self-respecting judge even consider sitting on a case with a legislator in a firm?," Himelein wrote in another 2007 e-mail blast. "When Shelly's firm can't get a divorce heard or will probated or a trial date, see if that doesn't spur some action. And maybe some of his contributors could ask for their money back ..." "The state's judiciary has been without a pay raise for more than ten years," said the commission's Administrator, Robert H. Tembeckjian. "The commission itself has publicly declared that such raises are well-deserved and long overdue. Honest advocacy for judicial raises is entirely appropriate. 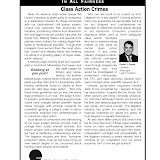 It is unacceptable, however, to bring the controversy into an individual courtroom and penalize individual legislators and their clients as a 'tactic' or 'weapon' in the pay-raise dispute." Abdullah Wilson, who served nearly 10 years for robbery he says he didn’t commit, is suing Long Island City scrap metal shop owner Roger Erra, whose testimony helped send Wilson to prison. 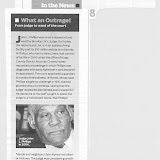 Related NewsNun's group finds homes for former inmates & their kidsAshanti stalker Devar Hurd found guilty; sent naked photos of self to singer's momCrooked Brooklyn judge Gerald Garson leaves halfway houseRadical lawyer Lynne Stewart should get even more prison time, federal appeals court saysBronx pub owner owes $3 million in taxesAfter spending 9-1/2 years in prison for a stickup he says he didn't commit, Abdullah Wilson is out to make his accuser pay. Trouble is, the victim isn't buying Wilson's innocence. Wilson's 1995 conviction for the gunpoint robbery of a Long Island City scrap metal dealer was tossed out in August by federal appeals judges. Queens prosecutors then dismissed the charges in October. Buoyed by his victory, Wilson, 45, this week sued scrap metal dealer Roger Erra for $20 million in Queens Supreme Court, contending Erra lied on the witness stand when he fingered him as the thief. "I don't want what happened to me to happen to somebody else," Wilson said. "I want to clear my name." Erra labeled the lawsuit a money grab by an out-of-work ex-con. 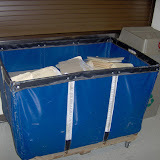 Erra said he took the legal papers Wilson dropped off at his business and "threw them right in the garbage." "They're not legal tender," Erra fumed. "I know he's the guy. He robbed me. What he's trying to do is extort me." Wilson says he was in Pennsylvania laying carpet at the time of the Dec. 22, 1992, holdup and produced an alibi witness at trial to confirm his whereabouts. At the time, he was getting his life back on track after convictions for drugs, weapons possession and chain snatching. "I was no angel," he said. "I took the easy way out and I paid for it. But I had given the stuff [drugs] up in the early '90s. I had lost everything that was dear to me." Earlier this month, a California venture capitalist pleaded guilty to helping his company land a very rich deal with New York’s pension fund. In order to manage a $250 million portion of the $126 billion state pension, Elliott Broidy gave nearly $1 million in gifts to officials in the state comptroller’s office. The details are sordid. He handed out rent for the girlfriend of a state worker who helped invest pensions. He paid a management fee to a consultant. He helped an official’s relative. He paid for luxurious trips by “a very high-ranking” official — all to gain management fees worth about $18 million. As bad as it is, Mr. Broidy’s admission is only the latest distressing news about the corrupt and secret way the office of Alan Hevesi, the former state comptroller, controlled the investment of one of the biggest pools of public money in the country. 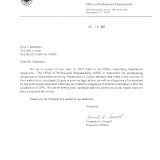 Mr. Hevesi resigned three years ago after admitting to a felony. Since then, two of his top former associates are fighting criminal charges relating to the pension fund investments. Four others have pleaded guilty for security fraud, including one of the last political bosses in the state: Raymond Harding, who was a leader of the Liberal Party. And an investigation of New York’s pension scandal by Attorney General Andrew Cuomo and the Securities and Exchange Commission is ongoing. New York’s pension fund desperately needs protection. It needs to be guarded by financial experts and watched carefully by the public. It is about more than the fundamental need for good government in Albany, although that’s enough for most people. If the pension loses ground, taxpayers must make up the difference. MORE DECISION-MAKERS The comptroller cannot be the sole person managing the investment of so much money. Unlike 47 other states that have boards that help with this huge task of managing workers’ pensions, New York’s comptroller can, at least theoretically, invest in a best friend’s widget factory if he so chooses. New York needs an official pension investment board, five or seven financial experts, not political hacks appointed by Albany’s leaders. Members of this group should be seasoned at managing other people’s assets and free of any business associations with the state. They should have refrained from contributing to state political campaigns for several years before joining the board. The comptroller should have to climb a high hurdle to reject their advice, mainly bringing a majority of the board with him. And the board should have a solid fiduciary duty to the pension fund rather than to the governor, the Legislature or any friends on Wall Street. One suggestion worth considering from a former New York budget director, Paul Francis: split up the investment duties. Under that plan, the comptroller would make asset allocations (so much for fixed-income investments, so much for overseas equities, etc.). The board would choose the specific fund managers within each area of investment. LESS FAT-CAT MONEY The comptroller, who runs for public office statewide, cannot continue to be the mother lode of campaign financing for the state’s political leaders. It is too easy now for anybody who wants to do business with the comptroller’s office to donate big money to Albany’s political establishment. Ideally, the comptroller should be the first state office to receive public campaign financing. 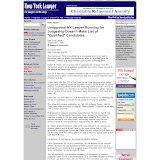 Failing that, there should be far stricter rules about contributions to comptroller candidates. For example, a contribution would automatically prohibit that person or firm from doing business with the comptroller. The Securities and Exchange Commission is putting the finishing touches on regulations that would ban any investment official from contracting with a public pension fund for the next two years. The Legislature should enact the same law immediately and make certain that lawyers who contribute will also be barred from doing business with the comptroller for two years. MORE TRANSPARENCY Finally, there should be more transparency in the vetting and choice of investments. Comptroller Thomas DiNapoli, who replaced Mr. Hevesi, has instituted many reforms, but they could just as readily be rolled back by another comptroller more friendly to money managers. After his two-year investigation of corruption involving the state’s pension fund, Attorney General Cuomo has proposed the beginnings of a better system for investing the state’s pension money. It would establish a strong board to oversee management of the pension fund. So far, Mr. DiNapoli and other legislative leaders appear to be resisting any move to dilute the comptroller’s sole control over investing this enormous public treasure. It is time for them to recognize that New York’s pension is too big and the slide into corruption is too easy for one person to keep it safe and invest it wisely. This article is part of a series examining the political and structural crisis in the New York State government. Brian Lehrer announced that WNYC was inviting listeners to "nominate" topics for their next "on-air call-in" segment. Listeners are invited to suggest a topic on the WNYC website. People have suggested judicial corruption. Please take a minute and suggest that judicial corruption be suggested as a topic. All you need to do is to write the question you want posed to the audience, eg; "How have you been harmed by judicial corruption in New York State?" NY Times EDITORIAL: "Restoring Access to the Courts"
In a lamentable 5-to-4 decision earlier this year, the Supreme Court discarded 50 years of legal precedent to make it significantly harder for Americans to assert their legal rights in federal court. The ruling, in the case of Ashcroft v. Iqbal, involved a Muslim man swept up on immigrations charges after the Sept. 11 attacks. The court’s conservative majority decided that he could not sue the high-ranking federal officials he deemed responsible for setting the policies behind the terrible abuse he said he suffered in detention. But the ruling’s damage went beyond the case or the national security sphere. The court altered the procedural rules for initiating a lawsuit, raising the bar in a fashion destined to make it far harder to bring valid actions and to allow wrongdoers to avoid accountability. For decades, a plaintiff filing a lawsuit needed to file only a short, clear statement of his claim and its legal grounds. That standard recognized that much of the evidence needed to prove claims may be in the hands of the defendant and not available before the pretrial discovery process. The Iqbal ruling, which followed a similar 2007 ruling applying to antitrust claims, abandoned that approach. Under the court’s new regimen, judges must assess the “plausibility” of the facts of an allegation before allowing the plaintiff to begin collecting evidence. That gives judges excessive latitude to bury cases based on their subjective views before the evidence emerges and can be fairly weighed. The practical impact in, say, an employment discrimination case, is to disadvantage the wronged employee, who is unlikely to have access at the outset to the records needed to prove wrongful conduct. Testifying at a Senate Judiciary Committee hearing earlier this month, John Payton, the president of the NAACP Legal Defense and Education Fund, expressed doubt that some of the major cases of the civil rights era could have survived the heightened standard. The courts have already applied Iqbal to dismiss numerous lawsuits prematurely. Representative Jerrold Nadler, a Democrat of New York, has introduced corrective legislation in the House. Senator Arlen Specter, a Pennsylvania Democrat, has introduced another bill targeting the problem. It is the responsibility of Congress to reopen the courthouse doors. A lawyer got his nose bent out of shape during an altercation over an occupied bathroom stall -- and retaliated by chomping off part of a man's schnoz. Mark Lambert admitted during an interview with WMC-TV to biting off a portion of Greg Herbers' nose, according to a report on the TV station's Web site. The bite occurred during a fracas at Memphis-area hot spot Dish. Herbers is now reportedly suing Lambert, claiming he needs plastic surgery and might have to wear a prosthetic nose. Greg Herbers says in a suit that because of the bite, he will have to undergo reconstructive surgery - and maybe even wear a prosthetic nose. He also claims Lambert swallowed what he bit off. Lambert told WCM-TV that he did take a bite out of Herbers -- but maintains he spit out the flesh. The brouhaha reportedly began when Herbers entered the restaurant’s bathroom and found all urinals and stalls in use. He says he asked two men who were in the same stall -- but not using the toilet -- to leave, WCM-TV reported. He claims they refused his request. Lambert, who was using a urinal and carrying on a conversation with the duo barricaded in the stall, began hurling profanity at him, Herbers says, and then shoved him and delivered the bite. Lambert told the TV station he acted in self-defense and that Herbers attacked him. A police report said Herbers' entire left nostril was ripped off, WCM-TV reported. He is suing for $5 million. ALBANY, NY -- Former state Supreme Court Justice Thomas J. Spargo was sentenced today to more than 2 years in federal prison for trying to shake down attorneys and solicit a $10,000 bribe to pay mounting legal bills. U.S. District Court Judge Gary Sharpe imposed the 27-month sentence on the 66-year-old Republican, a one-time pre-eminent Republican election law attorney, during a 1 p.m. court appearance. He will report to prison on Feb. 9. Sharpe did not impose a fine. Spargo was found guilty in August of attempted extortion and attempted bribery. He faced a maximum of 20 years on the attempted extortion count, 10 years for attempted bribery but federal sentencing guidelines call for a range of 33 to 41 months in prison. Spargo also faced a fine as high as $75,000 and supervised release after serving time in prison. Sharpe agreed to depart from the sentencing guidelines to impose the reduced amount of prison time. The judge said Spargo's crimes fell into a lesser category. The U.S. Justice Department, which brought the case using a prosecutor from a Washington, D.C.-based public integrity unit, called for a sentence of 41 months and $75,000 fine. Spargo's attorney, E. Stewart Jones, asked for a sentence below federal guidelines and, if possible, no fine. Spargo won a 14-year term to state Supreme Court in 2001 after being cross-endorsed. Spargo's chambers were in Albany, but he presided over cases in Ulster County, which is within the state's Third Judicial District. In 2002, Spargo faced accusations of ethical violations from the state Commission on Judicial Conduct that were unrelated to his future bench removal and criminal case. He was indicted a year ago on charges he attempted to extort attorneys to offset his legal costs. Spargo, convicted on Aug. 27, was recently disbarred because of the conviction. 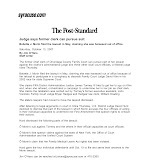 The Times Union reported Saturday that several Capital Region lawyers and others wrote character letters on Spargo's behalf to Sharpe. Reach Robert Gavin at 434-2403 or rgavin@timesunion.com. ALBANY, NY - Former state Supreme Court Justice Thomas J. Spargo was sentenced today to 27 months in federal prison for attempting to extort donations from lawyers doing business in the upstate court where he sat. Northern District Judge Gary Sharpe said that, whether through "venality" or "misplaced exuberance," Mr. Spargo was responsible for attempting to secure contributions of up to $10,000 from local lawyers for a fund to pay Mr. Spargo's legal defenses during the ex-judge's bitter dispute over campaign activities with the Commission on Judicial Conduct "This is extortion," Judge Sharpe told Mr. Spargo. "This is threatening people who appeared before you with harm." Judge Sharpe continued, "For a judge, there is nothing more reprehensible." Mr. Spargo, 66, of East Berne, Albany County, faced a maximum prison sentence of between 33 months and 41 months for his federal conviction in August of attempted bribery and soliciting a bribe (NYLJ, Aug. 28). Judge Sharpe said he was departing somewhat from federal sentencing guidelines because Mr. Spargo did not appear to have engaged in any "systematic" or "concerted" criminal enterprise. Mr. Spargo was a Supreme Court justice from 2002 until his removal in 2006 on the recommendation of the conduct commission. Mr. Spargo's attorney, E. Stewart Jones of Troy, said the former judge would serve, at most, 85 percent of his 27-month sentence and that he would recommend that Mr. Spargo spend his time at a minimum-security federal penitentiary closest to the Albany area. Mr. Jones said that Mr. Spargo would not appeal his conviction. 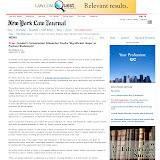 NY Post Editorial Rips Lippman's "Sweet Racket"
It doesn't say much for the judicial system when New York's top judge shows scant respect for the state Constitution -- to say nothing of the rule of law. During confirmation hearings earlier this year, Court of Appeals Chief Judge Jonathan Lippman said "judicial pay raises" were his "biggest issue." Or, rather, the lack of them: State lawmakers, too frightened to hike their own pay, refuse to pony up for judges, either. Lippman's mentor and immediate predecessor, Judith Kaye, actually sued to win judicial raises. This stood to compromise the integrity of those judges who'd be called on to rule on raises for themselves and their colleagues -- but creating conflict of interest is what they do best in Albany. Now Lippman has topped Kaye. As The Post's James Fanelli reported Sunday, last month he doubled, by diktat, state judges' annual expense allowances, from $5,000 to $10,000 -- an unauthorized de facto pay hike. 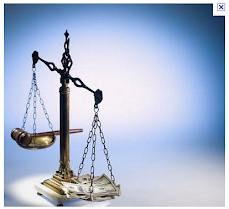 Most judges just take the expense allowance, declare it as income and spend it as they see fit. Others use the accounts as slush funds to expense iPods, "meditation retreats," air purifiers and other nonessentials. 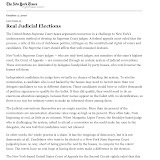 Some even have their portraits done -- no surprise, given how seriously some New York judges take themselves. Lippman's key claim to fame before ascending to the top court was a lifelong friendship with Assembly Speaker Sheldon Silver, one of Albany's most accomplished corner-cutters. Seems he picked up a few tricks from the ol' master. Judges get irked when shown contempt by the people. But what about when judges show contempt for the people? Does anyone know how a Law License really works in New York? 1. 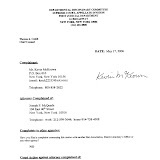 Former Chief Judge, and former federal inmate Solomon (aka "Sol") Wachtler is again a registered attorney: # 1189752, Touro Law Center, 225 Eastview Drive, Central Islip, New York 11722, 631-761-7000, Admitted in NY in 1956, 2nd Department, Washington & Lee Law School. 2. Husband of former District Attorney Jeanine Pirro, and former federal inmate Albert J. 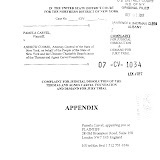 (aka "Al") Pirro, Jr. is again a registered attorney: # 1410703, Pirro Group, LLP, 1 North Lexington Avenue, 15th floor, White Plains, New York 10601, 914-287-6444, Admitted in NY in 1975, 3rd Department, Albany Law School. Ex-Brooklyn Justice Gerald P. Garson's appeal of his criminal conviction and three-to-10 year sentence was argued yesterday in the Appellate Division, Second Department, just days before he is to be released on probation. 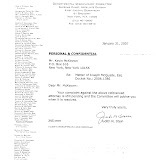 Mr. Garson's lawyer, Jeremy Gutman, came out swinging, telling the four-judge panel that Mr. Garson had been denied his "fundamental" right to a fair trial by the prosecution's repeated "insinuation" that Mr. Garson had taken bribes to fix cases, a charge that was not contained in the indictment. Assistant District Attorney Seth M. Lieberman rejected that charge, saying the issue of case fixing had been raised by the defense as part of its trial strategy. The panel sporadically asked both sides questions during the 45-minute argument and did not press either with follow up questions. The panel consisted of Justices Joseph Covello, Daniel D. Angiolillo, Ruth C. Balkin and Sandra L. Sgroi, none of whom was elected from Brooklyn, where Mr. Garson handled divorce cases in Supreme Court. 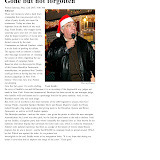 Mr. Garson is set to be released on parole on Dec. 23. 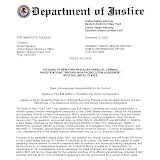 His arraignment on April 24, 2003, was quickly followed by rumors and published reports that he was helping the Brooklyn District Attorney's Office investigate whether Supreme Court justices were paying more than $50,000 in bribes to local Democratic officials to obtain nominations. 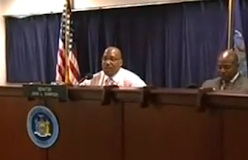 Former Brooklyn Democratic Party leader Clarence Norman was subsequently indicted and convicted for election-related crimes, but no one was charged with bribery in relation to arranging nominations. The eight-month investigation of Mr. Garson spawned charges against six others who were charged in two satellite schemes, neither of which was ever linked to Mr. Garson. Nissim Elman, an Israeli businessman and three others pleaded guilty to a scheme in which Mr. Elman claimed he could bribe Mr. Garson. Court Officer Louis Salerno was convicted of accepting bribes to steer cases to Mr. Garson, and Paul Sarnell, a court clerk, was acquitted of that charge. After a month-long trial, Mr. Garson was convicted in April 2007 on one count of first-degree bribery and two counts of accepting rewards for official misconduct. Three months later, Justice Jeffrey A. Berry, who presided over the trial, sentenced Mr. Garson consecutively on the three counts to at least three years in prison. 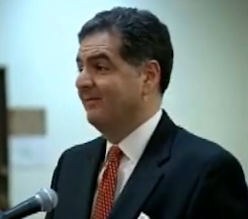 The jury had found Mr. Garson guilty of third-degree bribery for accepting thousands of dollars in drinks and meals from attorney Paul Siminovsky in exchange for giving ex parte advice in a case Mr. Siminovsky had before the judge, court-assigned appointments and unfettered access to his courtroom. On the two official misconduct counts, the jury convicted Mr. Garson of accepting a box of cigars as a "reward" for misconduct. The second misconduct conviction related to his acceptance of a $1,000 fee from Mr. Siminovsky for having referred two clients. Mr. Siminovsky, who agreed to wear a wire after being confronted with evidence implicating him in the bribery, was the prosecution's key witness. Other critical evidence came from a video camera investigators obtained a warrant to secret in Mr. Garson's robing room. The camera recorded Mr. Siminovsky delivering both the box of cigars and the $1,000 referral fee to Mr. Garson. Mr. Siminovsky plead guilty for his role in bribing Mr. Garson and was sentenced to a year in jail. 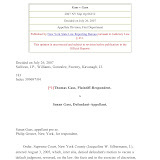 Yesterday, Mr. Gutman, Mr. Garson's lawyer, accused the prosecution of orchestrating a campaign to inflame public opinion against his client by making the "poisonous" charge that Mr. Garson had accepted gifts to fix cases in the news release the Brooklyn district attorney issued to announce the judge's arrest. The charges contained in the indictment did not make for "nearly as compelling headlines" as the case-fixing claim, which the prosecution injected into the case many times, starting with the opening statement of the lead prosecutor Michael F. Vecchione, Mr. Gutman argued. Mr. Vecchione's comment that the wife of one of Mr. Siminovsky's divorce clients "never had a shot" before Mr. Garson was particularly damaging because the judge, who had been assigned to handle divorce cases, frequently presided over emotionally charged divorce battles. Mr. Lieberman countered that the issue of case fixing had been triggered by Mr. Garson's trial attorney, Michael Washor, who had made it a part of his "narrative" to undermine extensive video- and audio-tape evidence. Mr. Washor had argued, Mr. Lieberman said, that prosecutors at first thought Mr. Garson was fixing cases, but when they discovered he had not, the prosecution had "staged crimes" to videotape. 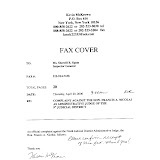 In its brief, the prosecution stated that Mr. Vecchione's remark was fair comment on a statement Mr. Garson made in an ex parte discussion with Mr. Siminovsky, which was captured by the camera in his robing room. In that statement, Mr. Garson had told Mr. Siminovsky that his client was "a winner" and did not "deserve it." In his brief for Mr. Garson, Mr. Gutman wrote that it is "the height of impropriety for a prosecutor to accuse a defendant of uncharged crimes." Mr. Garson, 77, has served 2½ years in prison. He had about six months of his sentence shaved off by the Department of Probation because he had successfully completed a substance and alcohol abuse program and behaved satisfactorily in prison. With the argument being held only 10 days before his release on parole, even a reversal would be too late to reduce the time he had to serve. A victory, however, would upset the requirement that Mr. Garson remain on parole for the next 7½ years and leave him eligible to apply for readmission to the bar. It took more than 2½ years for Mr. Garson's appeal to come before the Second Department because both sides had to contend with a 3,600-page record and hundreds of hours of audio- and videotapes, Mr. Gutman said. He added that Mr. Garson has been in a work release program for the last couple of months but declined to release any further details. 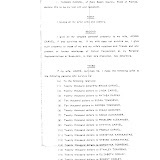 Mr. Garson, who has been disbarred, is prohibited from being affiliated with a law firm. Daniel Wise can be reached at dwise@alm.com. Click here to see Related Story, "Judge Approves Convicted Embezzler to Handle Disabled Child's Money"
Mr. Martinez added: “Getting elected to the City Council was one of the proudest achievements of my life. If I could change time, I would do things differently. However, I can’t do that, Your Honor.” Federal sentencing guidelines called for a sentence of 57 to 71 months. Judge Crotty sentenced Mr. Martinez to 60 months on each count, with the three sentences to run concurrently, along with two years of supervised release. Mr. Martinez also must pay $106,000 in restitution. Mr. Martinez admitted that throughout his time on the Council, beginning in 2002, he stole about $106,000, a large portion of which was intended for nonprofit groups, including $15,000 for the Washington Heights Art Center and $40,000 for the Upper Manhattan Council Assisting Neighbors. Mr. Martinez also admitted that he had approved fraudulent invoices submitted to his office in exchange for $51,000. “I was able to engage in these schemes because I was a New York City councilman,” Mr. Martinez said when he pleaded guilty. Mr. Martinez, a Democrat first elected in 2001, was the first councilman to be implicated in a two-year-long investigation by the United States attorney’s office in Manhattan and the city’s Department of Investigation into the Council’s use of discretionary funds to support favored nonprofit groups. In March, investigators raided the offices of the Upper Manhattan Council Assisting Neighbors, a group founded in 1998 to help small businesses and underserved immigrant and Latino populations in Washington Heights and Inwood. 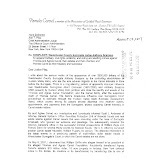 It received little city support until 2006, after Mr. Martinez’s sister, Maria, joined the board in an unpaid position. Since then, it has received more than $1.4 million in City Council funds, including more than $400,000 sponsored directly by Mr. Martinez, according to Council records. Mr. Martinez, who represented Washington Heights and Inwood, took office in January 2002 and was chairman of the Fire and Criminal Justice Services Committee, a post that added a $10,000 stipend to his $112,000 salary. ALBANY, NY - Judges may be penalized for tardiness in their rulings, but such misconduct must be determined based on the circumstances of the individual cases, the state Court of Appeals ruled today. 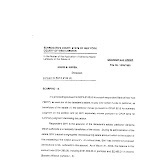 The 6-0 Court revisited its 1990 finding in Matter of Greenfield, 76 NY2d 293, in which it held, generally, that the state Commission on Judicial Conduct lacked the jurisdiction to discipline a judge for failing to timely dispose of pending matters. 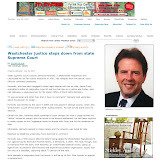 Ruling on a commission recommendation to admonish Kingston City Court Judge James B. Gilpatric for his delays in making rulings from 2004 to 2008, the Court said that "a judge's failure to promptly dispose of pending matters is primary a matter for administrative correction" within the court system. 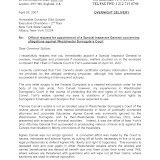 "But after nearly twenty years of experience with Greenfield, we think it is not workable to exclude completely the possibility of more formal discipline for such behavior, in cases where the delays are lengthy and without valid excuse," the judges held in a per curiam ruling in Matter of Gilpatric, 196. 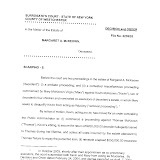 The Court added, "We now hold that lengthy, inexcusable delays may also be the subject of disciplinary action, particularly when a judge fails to perform judicial duties despite repeated administrative efforts to assist the judge and his or her conduct demonstrates an unwillingness or inability to discharge those duties." The judges cautioned that the circumstances of each judges' delays must be examined to determine if misconduct is present. "Statistics alone are insufficient to support a finding of misconduct; disciplinary action must be based on a record demonstrating a judge's persistent lack of action in response to administrative recommendations or warnings," the judges ruled. In the case before it, the Court ordered that Judge Gilpatric's case be sent back to the commission and that a referee be called in to gather a more complete record. The Court said they could not determine whether a warning Judge Gilpatric received from the commission in 2004 about decision-making delays was sufficient to "render these delays misconduct as a matter of law." Nor could the Court determine from the record what help Judge Gilpatric was offered by court administrators to help him speed up his rendering of decisions. A financing unit of Cerberus Capital Management L.P. has sued Paul, Hastings, Janofsky & Walker, claiming the law firm gave it bad advice in connection with a loan the private equity firm made last year to a company looking to bring retailer Steve & Barry's out of bankruptcy. Ableco Finance LLC, a unit of Cerberus with more than $6 billion under management, filed an amended complaint Friday in Manhattan Supreme Court against its former lawyers seeking more than $55 million it said it lost because of the $125 million loan. Ableco claims it would never have made the loan last year if the Paul Hastings team had advised it that the buyer would not have rights to all of Steve & Barry's inventory, which Ableco understood would back the loan. "No competent, diligent finance lawyer would have put his client in such a vulnerable position," Ableco's complaint reads in part. A spokesman for Paul Hastings, which is represented by Paul Spagnoletti at Davis Polk & Wardwell, said the firm looked forward to defending itself in court. "Paul Hastings adheres to the highest standards of professionalism and integrity in the representation of its clients, and its representation of Ableco in this matter was no exception," the spokesman said. "It's unfortunate that Ableco has chosen to sue its longtime legal adviser to recoup business losses caused by the economic downturn." Both a spokeswoman for Cerberus and Ableco's lawyer, Stuart Shapiro at Shapiro Forman Allen & Sava, declined to comment. 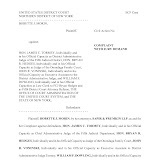 The case, Ableco Finance LLC v. Hilson, 650618/2009, before Acting Supreme Court Justice Shirley Kornreich (See Profile), was first filed in October. Ableco's decision to sue Paul Hastings marked the end of what the company said in court papers was a 14-year relationship with John F. Hilson, a Los Angeles-based corporate partner at Paul Hastings. Mr. Hilson had represented Ableco in "hundreds" of transactions. 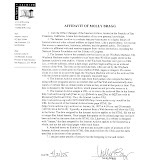 In August 2008, Ableco retained Mr. Hilson and Mario Ippolito, a Paul Hastings partner in New York, to represent it in financing a buyer looking to purchase assets out of the Steve & Barry's bankruptcy. Steve & Barry's had filed for Chapter 11 in the Southern District Bankruptcy Court in July 2008. Bay Harbour Management, a private equity firm specializing in buying distressed companies, sought to purchase the retailer's assets out of bankruptcy and turned to Ableco to help finance the deal with a $125 million loan. Bay Harbour set up a portfolio company for the transaction called BH S&B Holdings. It was a difficult time to make a loan, given "an economy that was suffering major disruptions in the housing and credit markets," Ableco said in its complaint. To ensure it got paid back in full, Ableco said it told Paul Hastings lawyers to require a first priority lien on Steve & Barry's entire inventory, which Ableco estimated to be worth $183.7 million. Language agreeing to a first priority lien made it into the commitment letter drafted by Paul Hastings, and Ableco agreed to make the loan. But according to the complaint, Ableco had not been advised about an earlier agreement between Bay Harbour and Steve & Barry's that would have made a right to the entire inventory impossible. Bay Harbour's earlier agreement with Steve & Barry's left the retailer with control of more than 50 percent of its stores. While the estate had given Bay Harbour a lien on the assets at these stores, the estate kept priority rights to the inventory and sales proceeds that came ahead of that lien. As a result, Ableco claimed it was in fact impossible for it to receive its lien on a large portion of Steve & Barry's inventory. Ableco said Paul Hastings did not provide a copy of the earlier agreement between Bay Harbour and the retailer's estate, nor communicated its terms, before Ableco made the loan. With the economy worsening, the company created by Bay Harbour, BH S&B Holdings, began to struggle and it filed for Chapter 11 bankruptcy in the Southern District in November 2008. It was not until the BH S&B bankruptcy filing that Ableco learned that Steve & Barry's estate claimed it owned the inventory in more than half the stores and Ableco did not have a first priority lien. 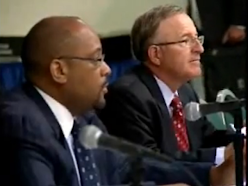 An Ableco executive confronted Mr. Ippolito at Paul Hastings almost immediately. 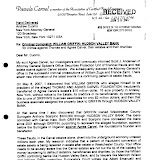 "I find it hard to imagine that you did not bring this matter to my attention pre closing," Paul Lusardi, a senior vice president of Cerberus Capital and at Ableco, said in a November 2008 e-mail. "I would never have recommended closing the deal if I knew we were not going to have a free and clear lien on all of the assets." The bankruptcy by the Bay Harbour affiliate also put at risk $28.5 million in loan repayments Ableco received in the 90 days before the Chapter 11 filing. As a result, Ableco said it entered into a "very costly" settlement. Paul Hastings, in a motion to dismiss filed in November, said Ableco is trying to blame its lawyers for decisions it made in a bad economy. "In bringing this lawsuit, [Ableco], a sophisticated lender, is trying to hold its attorneys liable for its own bad business decisions and any losses that may arise from them, not from any breach of duty by the attorneys," Paul Hastings said in the motion. Nate Raymond can be reached at nraymond@alm.com. In the early 1970s, from a perch on the 57th floor of the World Trade Center, a handpicked team of young prosecutors chased after crooked public officials in a city teeming with them. Fresh out of law school, Robert M. Simels jumped at the chance to investigate that corruption. A bulldog in an office of strivers, he threw himself at big assignments, undaunted — even excited — by the prominence of the men he pursued: a judge, an organized crime chief and a well-known city priest. “He was straight as an arrow,” said Paul W. Pickelle, a prosecutor who worked in the office. But years later, as a defense lawyer, Mr. Simels claimed a special if little-noticed place in the annals of ironic falls, among the police officers convicted of killing and moralizing politicians caught philandering. The lawyer who once seemed incorruptible was convicted of a crime that strikes at the very heart of the justice system: arranging to bribe or harm witnesses preparing to testify against one of his clients. Last week, a federal judge, John Gleeson, sentenced Mr. Simels, 62, to 14 years in prison. It fell to a young, hungry prosecutor, just as Mr. Simels was 35 years ago, to say what many of his friends privately acknowledged: “This defendant, of course, should have known better,” said Morris J. Fodeman, chief of the public corruption unit in the United States attorney’s office in Brooklyn. With his sharp suits and roster of famous clients, Mr. Simels joined the ranks of the city’s elite defense lawyers long ago, even as his abrasive nature set him apart. A son of the Bronx who came late to fatherhood, he had no time for bar associations and lawyers’ clubs, but plenty for his children, whom he doted on. He prepared for trials as if an empire were at stake, and even wrote one chapter, called “Cross Until They Drop,” for a book on various issues involving cross-examination. He rarely left legwork to investigators, saying he craved “eye contact” with sources. “He had arrogance, and he pushed the envelope,” said Ronald Rubinstein, a lawyer who worked with Mr. Simels on several cases. “He was a warrior, and that’s why I like him. He served a lot of clients well.” In a telephone interview in the wake of his sentencing, Mr. Simels spoke quietly about his accomplishments and declined to name any regrets. Citing a pending appeal, he also refused to discuss the case that led to his ruin. He had always been very good at something. In high school, in Mount Vernon, N.Y., it had been sports. Mr. Simels, an A student, played outfield on a team that included future major-leaguers, including Ken Singleton. He was the president of his college fraternity and flirted with a career in medicine. After a stint in Missouri training in the Army Reserves, Mr. Simels returned to New York to start law school. The career made perfect sense. He was barely a teenager when he read his first law book, given to him by his mother’s cousin, a civil lawyer. “He had such exuberance about the law and jurisprudence,” Mr. Simels said. In 1974, he went to work for one of the city’s legal stars, Maurice H. Nadjari, the state’s special prosecutor, newly appointed to investigate the rampant corruption in the criminal justice system at the time. Mr. Nadjari was a controversial figure, seen as a loner and a zealous prosecutor, with little talent for self-preservation. “He was the best boss anyone could ask for,” Mr. Simels said. “I think he was misperceived by many.” The two shared many traits. Richard A. Nachman, who headed the Manhattan bureau where Mr. Simels worked, said of his employee: “He was quite an aggressive young fellow — sometimes, I felt, overaggressive. If he saw a case that involved someone of some importance, he would leap at that and go to work. I don’t say that in a derogatory way.” Mr. Pickelle, his fellow prosecutor, said he never saw a hint of unethical behavior from Mr. Simels. “Nadjari would have killed him,” he said. Mr. Simels left the prosecutor’s office in 1979 to start his own defense practice — “It was just time to go,” he said — and within a year, he took on the case of Henry Hill, the mobster turned government informant. Mr. Simels was picked, in part, because he had no clients tied to organized crime, and representing Mr. Hill, whose life was the basis of the film “Goodfellas,” meant he never would. Instead, he became well known for representing clients charged in drug cases, and for recurring questions about his ethics. In 1993, the United States Court of Appeals for the Second Circuit took up the question of whether Mr. Simels, by visiting a witness in jail who might have testified against his client — without notifying the witness’s lawyer — deserved censure. He did not, the judges concluded, finding that Mr. Simels was “engaging in critical pretrial investigation.” But in another case, a former client named Thomas Mickens, a convicted cocaine dealer, said that Mr. Simels had kept a government plea offer from him in order to keep getting paid. A judge found that Mr. Simels had not passed along the offer. Some of his peers said they wondered whether the steady diet of clients who were drug dealers had taken a toll on Mr. Simels. 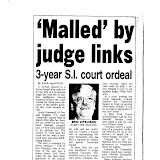 And in a letter of support to Judge Gleeson, Joel Cohen, who was a fellow prosecutor with Mr. Simels in the 1970s, noted Mr. Simels’s isolation — he had never taken a law partner. Mr. Cohen should have been a better friend, he wrote, if only to provide a second opinion “when his faithfulness to the call of duty cried out particularly loudly from society’s reprobates.” He was referring to clients like Shaheed Khan, a Guyanese drug trafficker whom Mr. Simels started representing with his trademark zeal in 2006. In court testimony, it emerged that Mr. Khan, the head of a paramilitary group in Guyana called the Phantom Squad, had killed several of his rivals with the help of a man named Selwyn Vaughn. Mr. Simels met with Mr. Vaughn, believing he was still a loyal member of Mr. Khan’s organization. But he had become a government cooperator, and he was wearing a wire. A Brooklyn judge Friday blasted a "reckless" drunken driver accused of mowing down two teenage lovebirds, as well as the lawyer assigned to defend him. Justice Devin Cohen laced into motorist Oliver Black and his lawyer, Kesha Louis, after the attorney argued against a high bail. "It doesn't say that he was speeding, that he blew any lights or anything like that," the defense lawyer said. "That would be seriously reckless. It is an accident." And incredulous Cohen pointed out that Black's blood alcohol content was almost twice the legal limit. "Your client drank enough to blow a .132 [on a Breathalyzer test] and then got ... behind the wheel of a car - and that is not considered reckless?" Cohen said. "He was driving with a suspended license, allegedly driving drunk," he added. "The defendant has a felony and 26 misdemeanors." Cohen set bail at $150,000. Gov. David Paterson would be in favor of giving the state's attorney general more authority. Let me keep Albany pols in line, says Attorney General Andrew Cuomo - Gov. Paterson says it might be a good idea to empower Attorney General Andrew Cuomo to clean up Albany's mess. "The attorney general having greater subpoena power is not a bad concept at all," Paterson said Friday. Cuomo, considered a likely primary challenger to Paterson, suggested Thursday that a simple way to reform Albany would be for the Legislature to let his office issue subpoenas in public corruption cases. Cuomo's comments follow the conviction of former Senate Majority Leader Joseph Bruno on federal corruption charges. Paterson, who has been criticized for not doing enough to push ethics reform, has proposed creating an independently chosen ethics watchdog agency. The governor spoke to reporters after signing into law a bill to reform the state's much-criticized public authorities. A probe into alleged corruption at the New York State Liquor Authority resulted yesterday in charges against four individuals, including a White Plains lawyer, according to the Manhattan District Attorney's Office. Attorney Bruno Gioffre Jr. and his uncle, Fred Gioffre, a former deputy commissioner of licensing for the Liquor Authority, both pleaded guilty to a misdemeanor, acting in concert to violate the Public Officers Law. That law imposes a two-year waiting period before officials who leave the agency can appear before it. Violation of the provision is a Class A misdemeanor. According to prosecutors, the nephew, who had not worked for the SLA, "directed" his uncle, who set up a consulting company after leaving the authority in 2007, to secure information about license applicants from employees at the agency's Manhattan office. As part of their plea agreements, both defendants agreed to refrain from practicing before the authority. 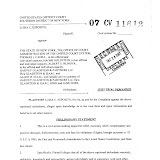 George Galgano of Galgano & Associates in White Plains, who represented Bruno Gioffre said that while his client admitted to asking his uncle to make "follow-up calls" to the agency, his guilty plea does not reflect an admission that he knew he was violating a "technical and obscure" provision of the law. The investigation also snared Annie Guerrero and Maria Elena Nunez, who were indicted on bribery charges for allegedly agreeing to offer a liquor authority official $5,000 to avoid a board review of Ms. Guerrero's license application. 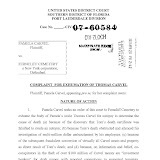 The indictments arose from a joint long-term investigation by the D.A. and the state Inspector General of corruption at the SLA. Agency CEO Trina Mead said it had "cooperated fully." The Florida Supreme Court has recently disciplined the following South Florida lawyers, according to a press release from The Florida Bar. 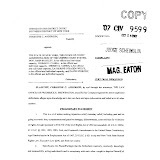 Court orders are not final until time expires to file a rehearing motion and, if filed, determined.